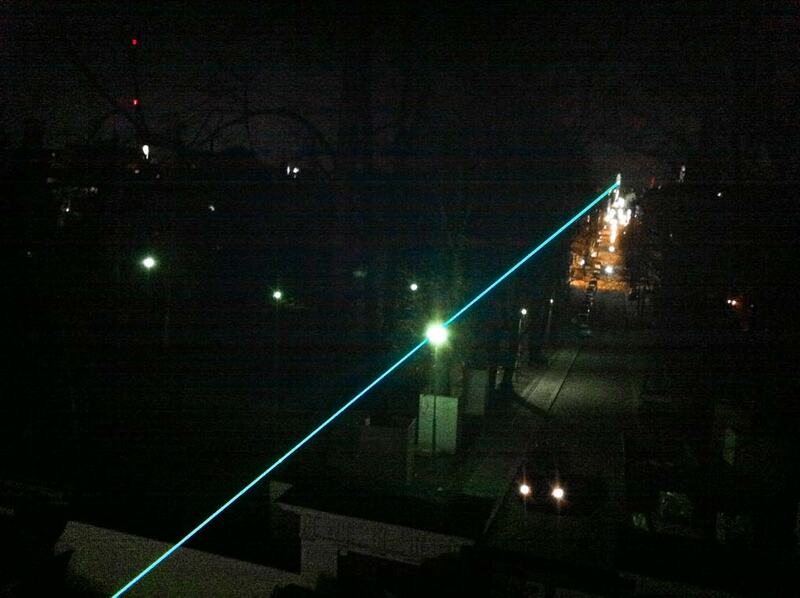 On occasion of the celebrations of 135 years of electricity in Helsinki / Finland Laserworld was asked to build up a high power laser light. 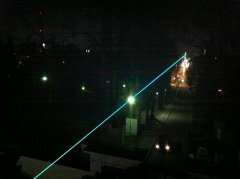 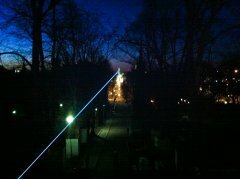 This custom-made blue RTI NANO laser system ist only equipped with OPSL laser modules and has a total power of 15,000mW. 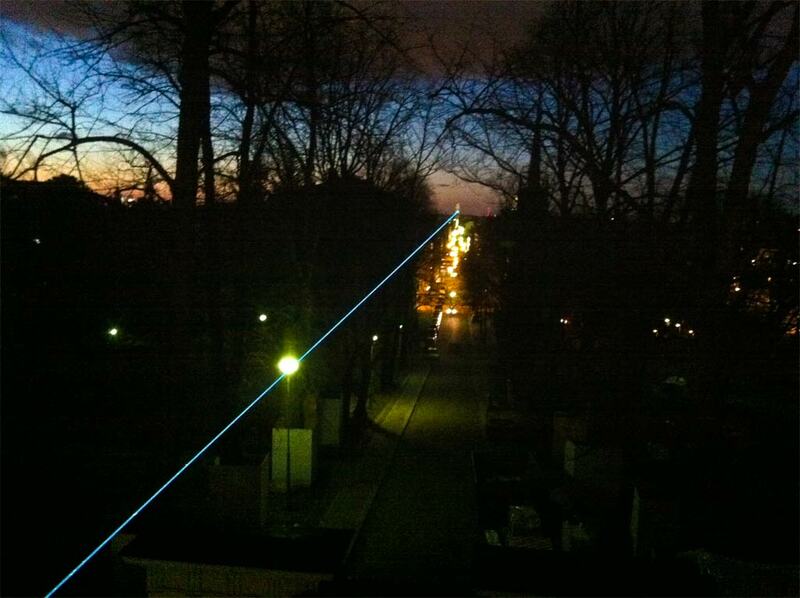 It has been installed in a weather protective housing on the roof of Helsinki's obervatory. 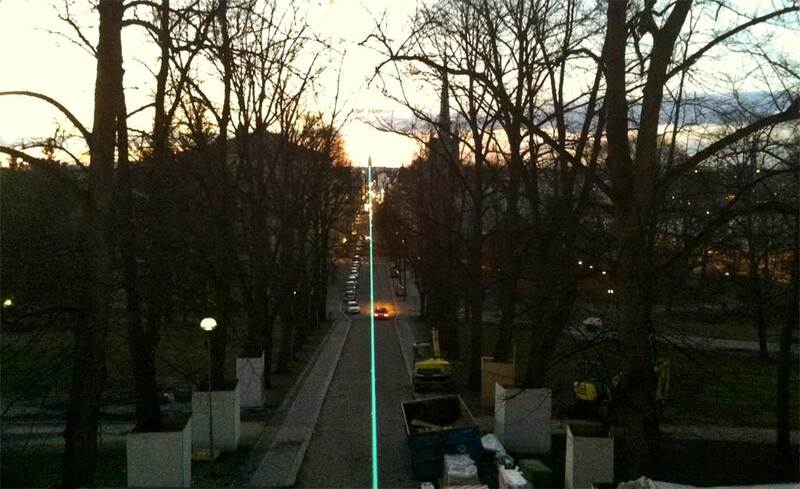 The single beam of RTI NANO connects the observatory with the Kallio Church at the end of the Unioninkatu, the longest direct street in Helsinki, and it can be seen every night. 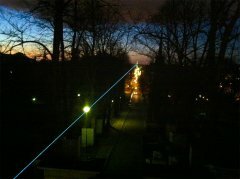 The distance between the obervatory and the church is about 3 kilometers.